Mito is a seaside town in Ibaraki prefecture. Its just a couple of hours drive from Tochigi. I would imagine its nice to go there at any time of year to sit by the ocean and watch the waves or to eat seafood. 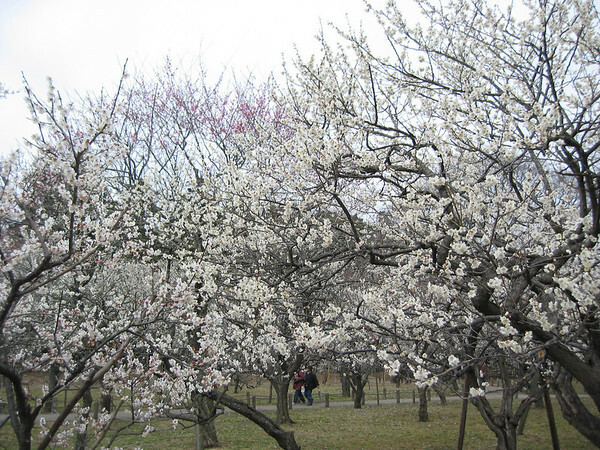 But what Mito is most famous for is the plum (Ume) trees in Kairaku-en park. 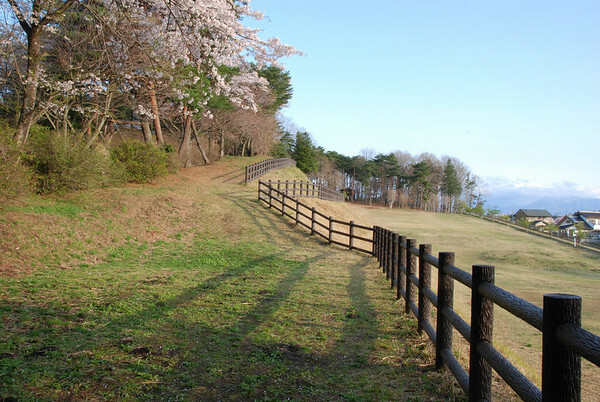 Kairaku-en is thought to be one of the great 3 parks of Japan. Ume trees flower before cherry blossum and they are paler in color. Frankly, I don't like them as much, but they are still beautiful in their own right. And the gardens are very beautiful. 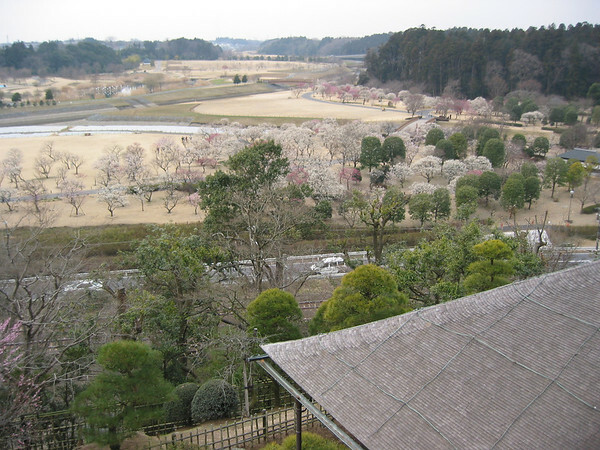 The Ume is great, wonderful views of the whole gardens from the hill, a great bamboo forest and Kobun-tei a reproduction of a warlord's villa. You could easily spend a day looking around here. 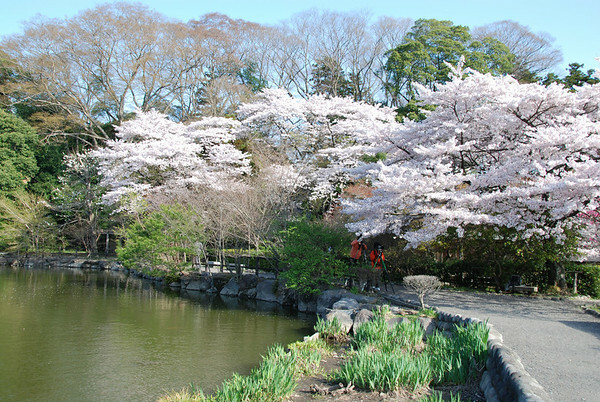 Cherry Blossom (Sakura) was probably at its best in Nasushiobara on the weekend of April 12th this year. It was great in Tokyo 2 weeks earlier. I haven't found a place locally to compete with places like Ueno Park, the Palace or Akasaka yet. 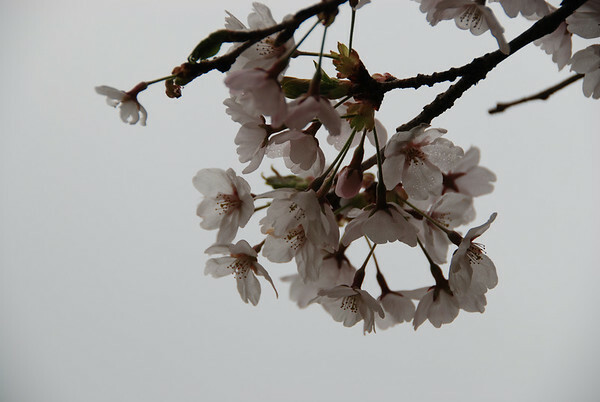 But here in Nasushiobara you don't have to share the beauty of the Sakura with thousands of people. This is a special time in Tochigi. Firstly, the trees are beautiful. Flowers are coming out everywhere. Secondly, everybody is getting ready to plant their rice. Paddies are being flooded and land is turning to water. The night is filled with the sound of flogs and insects. And allergies are back. Cedar trees, for which there was a huge program to plant all over the place, are said to be substantially responsible for this. Everybody is sniffling and wearing masks. We went out to 4 places to see the blossom. The first place was Nasunogahara Park. This is a great place to go at any time. There is not a huge quantity of trees here, but the setting is lovely. Next we went to Nogi Jinja. This is a little temple with Sakura lining the sides of the street approaching. There is also a nice little lake a short way behind the temple which is very pretty. 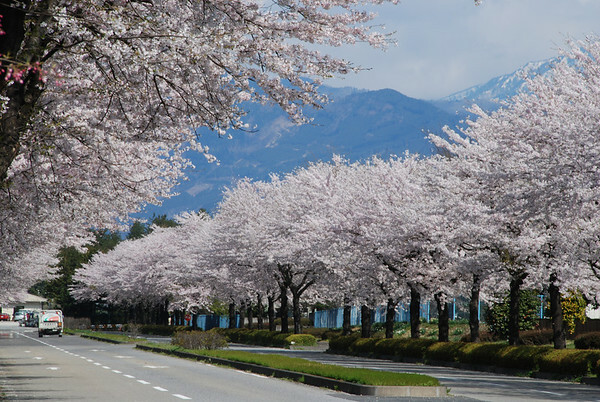 I don't know the name of this road, but its lined with cherry trees for about a kilometer. Finally, we went to a hilltop temple which is supposed to be the best place in the area for the blossom. We went in the early morning. I suspect it would be quite busy during the day. 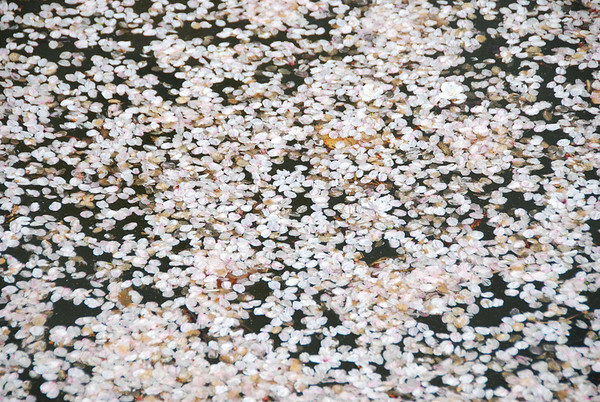 In Japan its very common to have a party with friends or workmates under the Sakura. And this is the place where people do it in Nasushiobara. Now on April 17th cherry blossom is almost over for the year. 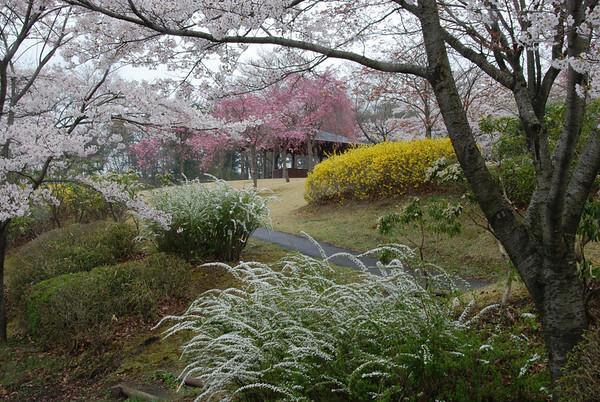 But I expect a trip up Nasu mountain this weekend will find it in full bloom at some point on the way to the top.